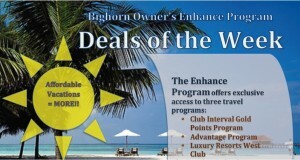 Click here for Deals of the Week and see what great offers Enhance Owners can access. 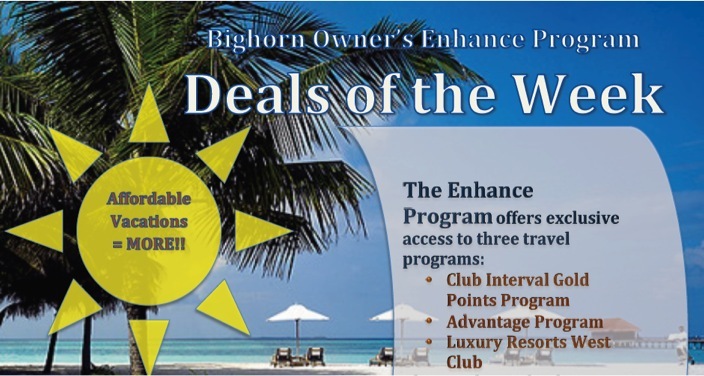 These offers are exclusive to those owners who have upgraded to the Enhance program. Contact us today at info@luxuryresortswest.com or 1-888-766-9637 to learn more about incredible holiday savings.